The restaurant menu is a wider concept. If I narrow it down and speak only of a Pan-Asian restaurant in India, you get so, so many options on the menu. I do not want my menu to be perceived as such. Today when you take a look at the menu of a Pan-Asian restaurant in India, you end up realising that it is essentially a Chinese restaurant with few dishes here and there. If you take up a Chinese restaurant they serve “Chinjabi and Sino-Ludhianvi” food. If a restaurant decides, ‘yes, we want to move towards serving the Pan-Asian’ as it’s the flavour of the month or it is something in demand, it should include Indonesian and Thai, too; it should maintain the authentic flavours. I don’t serve more Chinese or Japanese cuisines. In fact, I want to be less Chinese and more other cuisines. That is my vision for Wok Tok at The Grand, Delhi. You’ll see Japanese and Chinese being served less, and other cuisines more. In the orchestra, those other instruments - Indonesian, Burmese, Thai, Malay play a bit louder; Chinese and Japanese are in much more precise form. That is my vision. 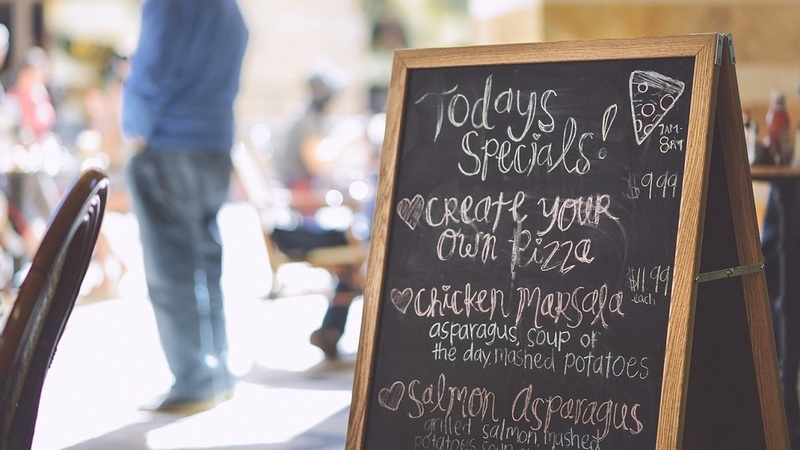 You should always keep a track of these three elements while designing or re-designing your restaurant's menu. The concept may already exist. You might just want to change the menu but still, you need to readjust. The times might have changed or the restaurant has become old now. You need to focus on one question – “What is going to be the concept of the restaurant?”And then the rest - what space you want to hit the market, where do you stand and what you are. More importantly, you need to know what you are not. What your restaurant is not. Know if there are any boundaries - huge or tight, within which you’ll operate. Those boundaries have to be very well defined. In terms of the area or the geography you are in, you have to respect those sensibilities. If there are more vegetarians, your menu has to be designed accordingly. Geography doesn’t mean just the location; it’s the times, space and the place you live in. You see much more examples of lactose or gluten intolerance than you would see 10 years back. So you have to have those options on your menu. If there are more vegetarians, you want to have those kinds of cuisines. The next menu I’m doing for the Cascades, my all-day dining restaurant, 40-45 % of the menu is vegetarian. So, you have to respect the geography and what the market demands. And then you have to look at the balance of rich vs light food. I always wanted to have my food very flavourful. Whether it’s an Indian, European or a Japanese restaurant, I don’t like bland food. When I say bland food, I don’t want you to mistake it for the spicy cuisines we are served in India. It’s the flavours that matter. The flavours have to be robust - that is my thing. I have visited a lot of restaurants and had insipid food that really didn’t speak to me. I love vibrant flavours. That’s a personal and individual thing to me. And then I prefer to balance across from rich to light, from flavourful to delicate, from spicy to non-spicy, from veg to non-veg; you have to balance all these aspects, based on the geography, and the kind.